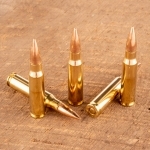 Many mil-spec 5.56 NATO loads exist, but Federal's production at the Lake City Army Ammunition plant enjoys the unique distinction of being made by the same defense contractor on the same production lines that supply the US military. 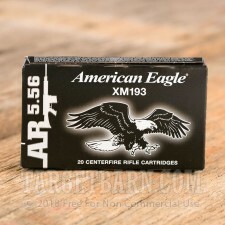 Each of these 500 round cases contains 25 boxes of 20 rounds apiece. 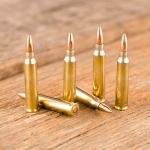 This ammo follows the M193 ball standard and fires a 55 grain full metal jacket bullet at a muzzle velocity of 3,240 feet per second. These rounds deliver good accuracy even in windy conditions thanks to their boat-tailed profile, which stabilizes the bullet as it travels to your target. 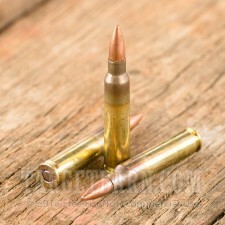 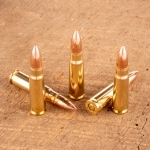 Lake City ammo uses non-corrosive Boxer primers and brass cases. 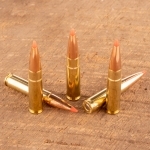 The brass on this ammunition has visible annealing with no cosmetic repolishing; this simply serves to indicate that the annealing process has been completed properly. 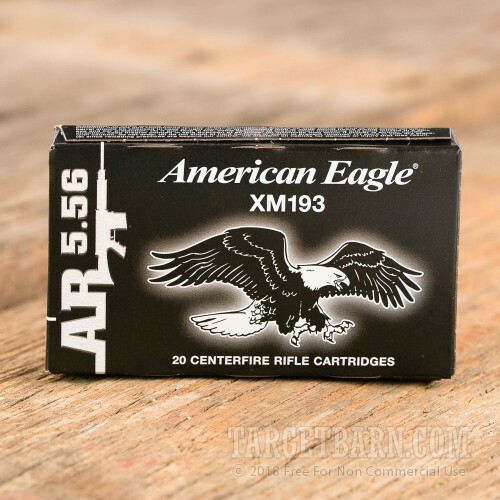 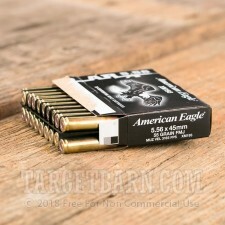 Whether you need commercial, mil-spec, or match-grade ammo for your firearms, Target Barn can help!